Stylish, lightweight, durable, and comfortable glasses that fit easily over any pair of prescription glasses, men's or women's. Provides 100% UV Protection - Protects against UVA and UVB radiation. Eliminates glare. 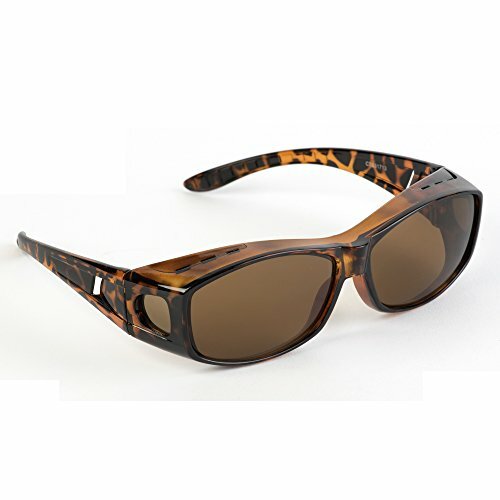 Tinted side lenses for better peripheral vision and complete eye protection. Perfect for driving, boating,biking or any outdoor activity. Makes a great gift as well! If you have any questions about this product by Pointed Designs, contact us by completing and submitting the form below. If you are looking for a specif part number, please include it with your message.